Vancouver, B.C. (March 12, 2018) – Today, the Vancouver Economic Commission (VEC) congratulates CEO Ian G. McKay on his new appointment as CEO of Invest in Canada. Concurrent with this appointment, Mr. McKay will resign as CEO of the VEC and as Chair of the Consider Canada City Alliance (CCCA). Invest in Canada is a new federal organization dedicated to attracting global investment while making the process simpler for international businesses to do so. As Mr. McKay continues his efforts on behalf of Canada’s business and investment interests, the VEC looks forward to working with Mr. McKay and Invest in Canada to continue supporting the emergence of Vancouver as a world-class city in which to work, invest and live. Mr. McKay’s departure occurs at a time when Vancouver remains the strongest and fastest-growing economy in Canada. In the last five years, the city’s annual GDP growth has averaged at higher than 3.5 per cent; 40,000 jobs were created in 2017 alone; and the office vacancy rate is the 2nd lowest in North America – achievements made even more notable by the simultaneous reduction of its greenhouse gas emissions. In January 2018, Prime Minister Trudeau appointed Mr. McKay as his Special Envoy to lead the Canadian delegation in the negotiations of the Trans-Pacific Partnership in Tokyo, Japan. The member countries concluded discussions and the new agreement, now called the Comprehensive and Progressive Agreement for Trans-Pacific Partnership (CPTPP), was signed last week, March 8, in Santiago, Chile. In the interim, VEC staff shall ensure that 2018 programs and projects will proceed without disruption. The next few months will see the completion and launch of several large-scale projects, including the update and launch of a new Economic Development Strategy; 2018 Green Economy Report; 7th annual Vancouver Digital Careers Fair; Industrial Insights Research study; and usual array of ongoing projects and programs related to capital and talent attraction, entrepreneur education and mentorship, and local business support. 13 economic development agencies from Canada’s large cities work together as the Consider Canada City Alliance (CCCA) to promote Canada as an ideal destination for global trade and investment. Comprised of Vancouver, Edmonton, Calgary, Saskatoon, Winnipeg, London, Waterloo Region, Hamilton, Toronto, Ottawa, Montréal, Québec City and Halifax, the CCCA helps international companies determine the best strategies for business expansion and works to continually improve Canada’s ability to attract new investment and trade opportunities. 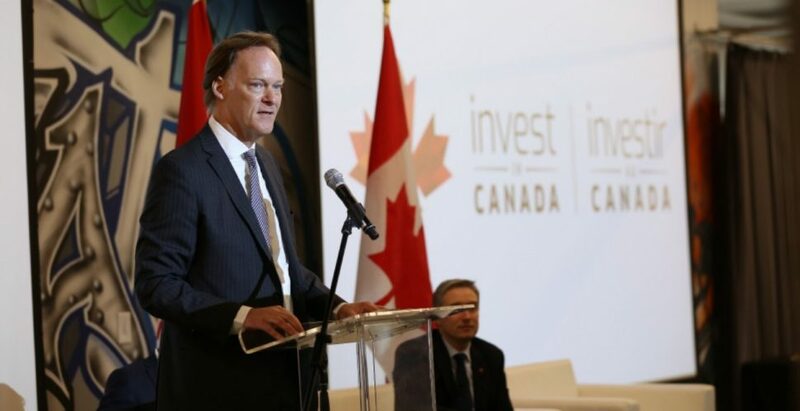 A new federal investment promotion agency, Invest in Canada has been mandated via legislation with the goal of attracting new international investment while making it simple and more attractive to invest in Canada. It will do this in part through the provision of one-window concierge services, marketing Canada abroad, and working to streamline existing efforts by Canadian cities, governments, and the private sector.